Peterborough United have agreed a loan deal with Premier League West Brom for teenager striker Saido Berahino. The 19-year-old has joined Posh until 2 January, although Albion have the right to recall him after 28 days. Berahino had successful spells with Northampton and Brentford last season, scoring a combined total of 10 goals in 23 appearances for the two clubs. 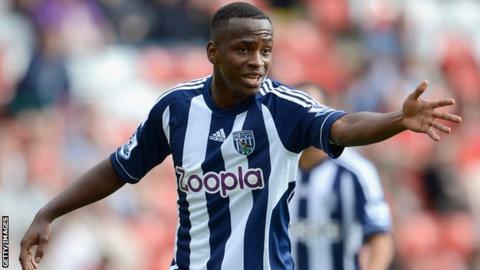 He made his first-team debut for West Brom as a substitute in their League Cup victory over Yeovil two months ago. The England Under-20 international is likely to go straight into Peterborough's squad for Tuesday's Championship game at Barnsley.